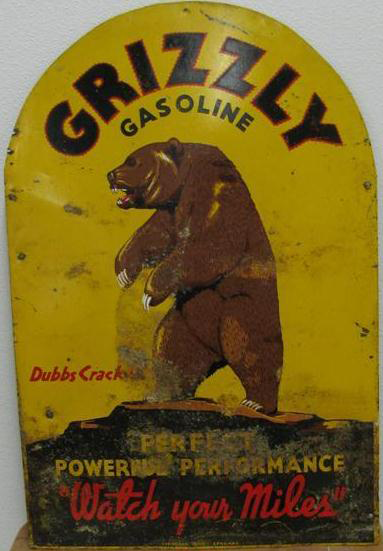 This is a die-cut Grizzly Gasoline porcelain sign. This particular Grizzly Gasoline sign features a brown grizzly bear against a yellow background. It reads, “Grizzly Gasoline, Dubbs Cracked, Perfect Powerful Performance, Watch Your Miles”.